In Maharashtra, bypolls will be held on Lok Sabha constituencies Bhandara-Gondiya and Palghar. Kairana in Uttar Pradesh and Nagaland Lok Sabha constituencies are the other two seats where by-elections will be held next month. 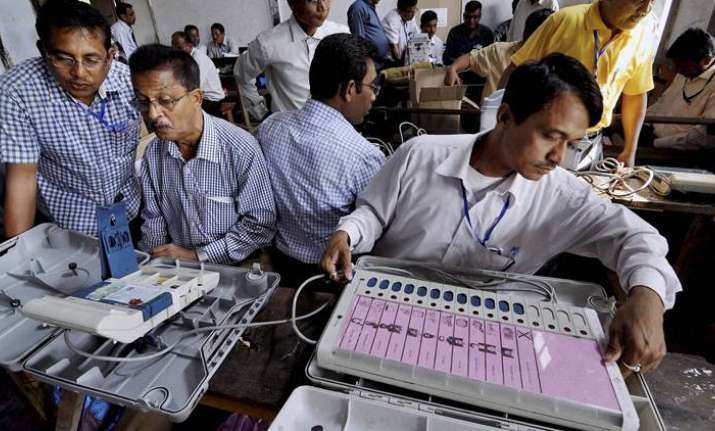 The Election Commission of India on Thursday announced dates for Lok Sabha and Assembly to be held in 10 states. While Lok Sabha by-elections are due in Maharashtra, Uttar Pradesh and Nagaland, Assembly bypolls would be held in Bihar, Jharkhand, Uttar Pradesh, Uttarakhand, Maharashtra, Kerala, Meghalaya Punjab and West Bengal. While polling for all by-elections will be held on May 28, counting of votes will be done on May 31. Nana Patole of the BJP had resigned from the Bhandara-Gondiya seat last year and joined the Congress. The Palghar seat fell vacant after the demise of BJP MP Chintaman Wangaya. The bypoll to the Kairana seat was necessitated after BJP veteran Hukum Singh passed away in February. Assembly by-elections will be held on seats - Jokihat (Bihar); Gomia, Silli (Jharkhand); Chengannur (Kerala); Plaus Kadegaon (Maharashtra); Ampati (Meghalaya); Shahkot (Punjab); Thralai (Uttarakhand); Noorpur (Uttar Pradesh) and Maheshtala (West Bengal).